5-4-3-2-1, BLASTOFF! If you’re the daring and adventurous Space Cadet that I think you are, then welcome to our intergalactic space place. Get ready to meet an army of alien robots wanting to take over the world. 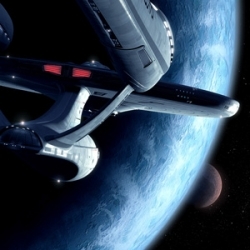 But not to worry, we not only have “The Force” on our side with Luke and other Star Wars friends, but Captain Kirk and the United Federation of Planets from our Star Trek galaxy are sure to lend us a helping hand! 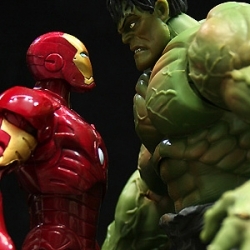 Think you know your action figure Superheroes pretty good, eh? Well let’s see if you can name a few of them from some famous slogans. Here goes! Anybody recognize this lovely little lady? You guessed it! 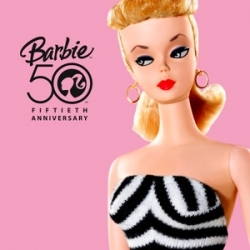 This radiant lady is the very first Barbie introduced by Mattel in 1959. Barbie gave a new definition to the word “doll” as her 1959 debut sent moms scrambling to purchase these new fashion dolls for their daughters. When it comes to dolls, Barbie has never ceased to create excitement in the lives of young girls, and she is definitely at the top of the doll collector’s lists. Barbie continues to be known throughout the world for her beauty and for her fashion statements. But Barbie isn’t the only doll that brings special memories to heart! 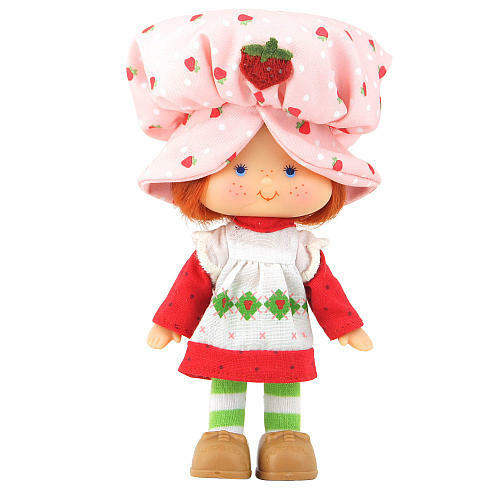 Shirley Temple, Cabbage Patch Kids, Chatty Cathy, Mrs. Beasley, Poor Pitiful Pearl, Betsy Wetsy, Betty Boop, My Little Pony, Strawberry Shortcake, Raggedy Ann and Andy, are just a few more of the many dolls that have brought hours of fun into the lives of girls everywhere. Where are your old dolls? In the attic? Passed down to little sister? Or could one of them be right here in the World’s Largest Toy Museum? Come see us and let the heartfelt emotions of your childhood days be stirred once again. “WHOOOOOAAAAA!” hold on there you Lil Buckaroo. If you think you’re gonna mosey right on past The World’s Largest Toy Museum’s western area, you got another thing a comin’ to ya, pardner! Head yourself right on into the bunkhouse and check out some of the roughest and toughest cap guns and BB guns you’ll ever lay your eyes on. Got you a little bit of a hankerin’ for some real cowboy memorabilia? 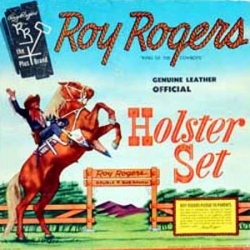 Roy Rogers, Dale Evans, Gene Autry, The Lone Ranger, Hopalong Cassidy and John Wayne are only a few of the great iconic western characters from yesteryear who will have you wanting to sit by the campfire whistling a little bit of “Home on the Range” and telling those sweet little grandkids a few of the old western stories. “ALL ABOARD! !” is the cry you hear with the dinging of the bell and the tooting of the whistle as you watch the famous New York Central steam engine race around on our ceiling-suspended train track. I’ve often heard that girls mature into women, but boys stay boys forever! 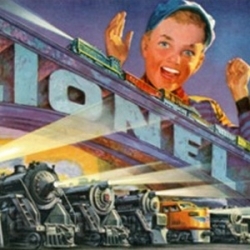 Boy’s toys are for guys of all ages and, like the young engineer in the advertisement, your face will light up when you discover our collections of “boy’s toys” —planes, trains, fire engines, Hot Wheels, Matchbox, slot cars, Nascar, Tonka Trucks, Buddy L, Smith Miller and much, much more! Here at The World’s Largest Toy Museum, we even have some “Big Boy’s Toys” — the 1959 British Embassy Rolls Royce and a 1927 Cadillac with wooden spoke wheels! Did you see red, green, orange, blue, or yellow when you plowed in that sandbox field of dreams? Whatever you used to cultivate your childhood crops, we have something that will take you back to the good old days of backyard farming. From red plastic with yellow wheels to precision with all the details, we have it. One of the largest collections in The World’s Largest Toy Museum is the Farm Toy Group. We have John Deere, Allis Chalmers, Ford, Case, CAT, Farmall, International Harvester and Oliver – just to name a few and to give you an idea of what’s on that level. 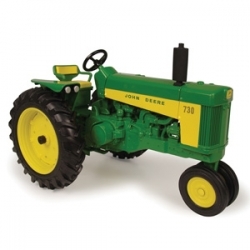 You’ll enjoy our great Tractor/Trailer collections up there too! Are you one of the many who are missing the old famous “Made In America” label? Then the Tin Toy Collection at the World’s Largest Toy Museum is going to wind you up and catapult you into a wonderful tin toy adventure! The tin toy market was dominated by German manufacturing until toy enthusiast Louis Marx entered the picture in the early 20th century. 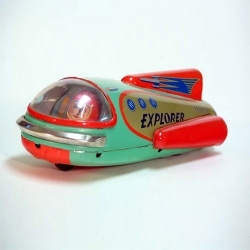 He introduced tin toy manufacturing to the U.S. and produced tin toys that were affordable for the common family. 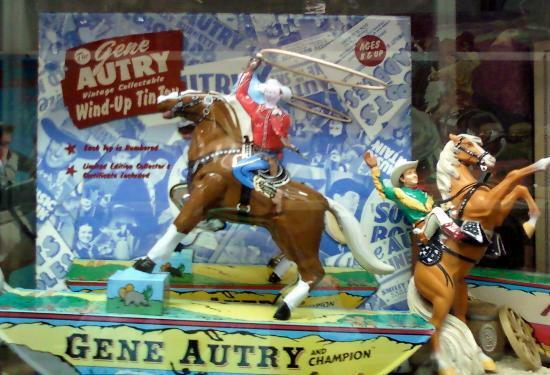 Soon these realistic tin toys were on the top of many a wish list, and Marx toys quickly became world renown. 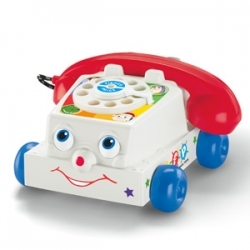 Because of outstanding quality and durability, many of these toys have survived the torture of young fingers and are now on top of the wish lists of today’s most avid toy collectors. 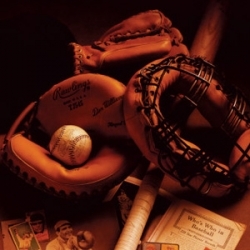 Question: What do Joe DiMaggio, Mickey Mantle and Cal Ripken all have in common besides professional baseball? Answer: Their autographed baseballs are in the Sports Section of The World’s Largest Toy Museum. These treasures are located just behind our life size replica of the former heavy weight boxing champion, Mike Tyson. Come on in and let our Hockey, Football and Basketball exhibits take you back to the days when the roaring crowds cheered you on and your dream was to join the pros! And while in the neighborhood, you will definitely want to take a few minutes to find your all-time favorite WWF wrestling figurines. Our Sports Section is a “must see” for all the sportsters. And if you’re hooked on fishing (pun intended), You’ll treasure the nearby display of antique lures and old fashioned fishing gear. Remember your child’s first steps? As parents, those first toddling steps proved that our child was surely both brilliant and athletic, but what Jr. might remember best is that exciting pull-toy that followed him around the living-room floor. Can you still hear the clatter or the clucking? Let your mind go back… Hear the squeals and laughter? Pull-toys were not just for fun. They encouraged toddlers to walk while creating excitement for them. At the World’s Largest Toy Museum, we’ve got “Chatter” (as seen in “Toy Story 3”), “Digger the Dog” the walking hound, the Waddling Duck Family, and many more old pull-toy favorites. You won’t have to pull yourself over to the pull-toy section, but you just might feel a little pulling of the heart strings as special memories of yesteryear come to mind. This simple sailor man quickly became a favorite to both boys and girls. 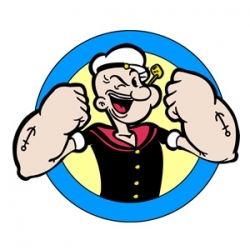 Popeye was seen in comic books, in television cartoons, and even in a full length movie. Children everywhere were singing his song! His friendly attitude (but not taking kindly to being bullied) coupled with his always available can of Spinach seemed an odd combination, but he showed us that there was nothing wrong with us little guys defending ourselves against the bullies of this world. Unbelievably, because of his phenomenal strength gained immediately after gobbling down a can of this leafy green vegetable, Spinach sales increased from 1931 to 1936 by 33%! What comes to your mind when you hear the number 24? How about the number 43? Or the famous number 3? 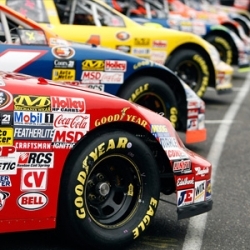 If you are one of the millions of NASCAR fanatics, you simply smile and say, “Jeff Gordon, Richard Petty and The Intimidator Dale Earnhardt, of course!”As you’re racing through life, make a pit stop here at The World’s Largest Toy Museum and fuel up on some of those great memories in our NASCAR section. We know you’ll be giving it the “1st Place checkered flag” and sending us to the winner’s circle!